Girlz Gone Riding Event Was Fabulous, Dawlings! Are You Part of the Problem? 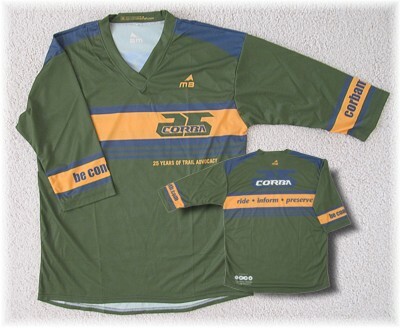 CORBA has spent 25 years fostering a positive image for mountain bikers based on the fact that the vast majority of mountain bikers are responsible, and that irresponsible actions are few and far between. Yet in just the last year it seems that irresponsibility has increased, and 25 years of goodwill and effort are about to be torpedoed by disrespectful, selfish individuals who only care about going fast. 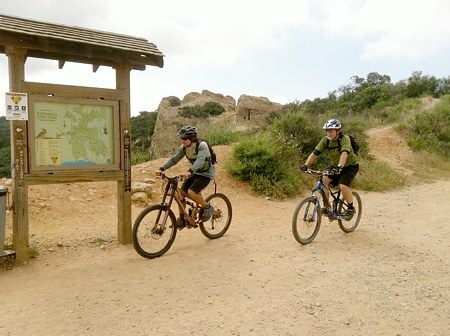 In the last week the NPS has issued a press release stating that the increase in unsafe riding will be met with citations, and the Gas Company has closed Sullivan Canyon to all users because of incidents involving mountain bikers. The problem with this situation is that the people riding irresponsibly know that it’s wrong, but they do it anyway. They are jeopardizing bicycle access to the trails, not to mention the safety of all trail users. I know that just saying it here won’t solve the problem, but my hope is that a few of the people who are riding irresponsibly do the right thing, and maybe spread the word. If you want to ride fast, go do it in a race or at a place where it’s set up for it, like Mammoth Mountain. Enjoy our local shared use trails in a way that is pleasant for everyone. Otherwise the actions of a few will mess it up for the majority of people who do ride responsibly. Ride and Mingle on Nov 17th! We’ve been getting a lot of interest in our Ride And Mingle. There has also been some confusion as to where to to ride in from and where to meet. First, there are several locations you can ride to The Hub from, such as Trippet Ranch in Topanga State Park; Caballero Canyon (Reseda Blvd.) or at the top of Reseda Blvd. ; Westridge Fireroad from Brentwood (please note that Sullivan Canyon is closed to the public until the end of December, see details). There are already a couple of groups leaving from a couple of different locations posted on our Meetup event, but the idea here is not to meet at one location, it is to ride in from several locations and meet inside Topanga State Park at The Hub. Stay tuned for more information, and see below for location and map info. 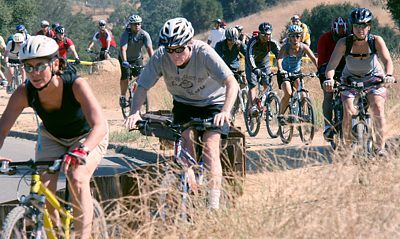 In celebration of CORBA’s 25th Anniversary, on November 17 we will Ride up to The Hub in Topanga State Park and Mingle for a photo opportunity to show land managers and the trail user community that mountain bikers can and do coexist on the trails. We are hoping for 250 (or more) riders. Save the date and spread the word! We’ll converge at The Hub (you have to ride in, what a concept!) 10am and around 10:30 we’ll take the group shot. We’ll then hand out cash prizes, with the top cash amount being $1,000 and lesser amounts of $500 (2) and $100 (5). We’ll also be having a 50/50 drawing, so bring $20 in cash and put it into the pot, with the lucky winner getting half of whatever is collected and the other half going to CORBA. How do you get to (as in RIDE TO) The Hub? There are several trail head locations you can start from. Reseda Blvd., Trippet Ranch, Mulholland Drive (dirt) from the east (Encino) or west (Woodland Hills), Will Rogers State Historic Park, Westridge Fireroad, and San Vicente Mountain Park (Nike Site), to name a few. Check this map with all the trails and trailheads. The Hub is marked with a blue dot and the letter "z." Even easier, download this map. The Hub and the major trailheads are circled. Print it and bring it with you so you don't get lost! Now you can show your support by signing up for the Ride and Mingle event on CORBA's Meetup group! 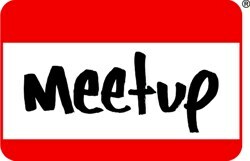 The benefits of using Meetup are described elsewhere in this newsletter. The below press release was issued today by the National Park Service (NPS) in conjunction with CORBA. CORBA has started using the facilities of Meetup.com to manage and publicize our events. You can get to our Meetup group at http://www.meetup.com/CORBAmtb/. We plan to use this Meetup group for events like recreational rides, trailwork days and fundraisers. Currently we are not planning to use it for the monthly free basic skills clinic. The first Meetup has already been added for the Ride and Mingle event on November 17th at Topanga State Park. Of course this is all free! In order to join our Meetup group, go to http://www.meetup.com/CORBAmtb/ and click on the “Join Us” button. Fill out the requested information (it’s very short) and click on the “Submit” button at the bottom. If you are already a Meetup member for another group, make sure you’re logged in first so Meetup knows who you are. Once you’ve joined us on Meetup, you won’t miss hearing about any of our fantastic activities! The next Beginners ride will be from the beach side of Sycamore Canyon in Pt Mugu State Park on Sunday November 25. See our Rides Calendar for details. Many thanks to North Ranch Mountain Biker Michelle for leading these rides! The next Strong Beginners ride will be Sunday November 11. See our Rides Calendar for details. The next Advanced Beginners ride will be in Malibu Creek State Park on Sunday November 18. See our Rides Calendar for details. Report on the Twenty-second Annual COSCA Trail Work Day on October 20th. 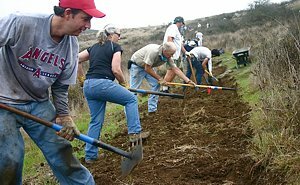 The 22nd COSCA Trail Work Day had one of the largest turnouts in history this past Saturday with 160 volunteers helping build nearly a mile of new trail in the Western Plateau area to the west of Wildwood Park. An entirely new section of trail was installed which re-routed the existing trail away from an unstable stream-side exposure. The staging location was new this year, with volunteers meeting at the new Santa Rosa Park facility off Sant Rosa Road in Santa Rosa Valley. The Western Plateau area of the Conejo Open Space Conservation Agency will be getting many more miles of trails installed within the next several years. The Southern California Gas Company recently closed Sullivan Canyon to the public during construction, 6:00 am to 6:00 pm Monday through Saturday (see below for the press release). According to Public Affairs Manager Krista Phipps, the area was not closed as a direct result of a serious mountain biking accident in the canyon, but in response to several factors. “I was told by the Project Manager that [the incident which caused injury to the mountain biker] did not occur at the construction site. However, it was serious and required the person to be airlifted out of the canyon. Overall, there have been a series of close calls in and around the construction site and we just do not want to risk injury to the public or our employees,” said Phipps. Saturday November 3 is the next skills clinic.